June 3rd, 2015 | Categories: for Home Stagers. Tags: home staging. How do you get the word out about your home staging company? Do you advertise online, directly in real estate offices, or with flyers in the homes you have staged? We often encounter real estate agents or homeowners that are reluctant to let us market or advertise our staging services within our staged homes. They often talk about how it distracts prospective buyers or how it is an instant giveaway that the home has been staged. Sometimes they suggest that it competes with the agent’s flyers or promotion of the home. Many times, the flyers we install get put in a drawer or our flyer rack is taken and repurposed by the real estate agent. Can we find a common ground? First and foremost, we emphasize that we do not have a retail showroom or storefront to advertise our services. We rely on real estate relationships, referrals and turning our staged homes into a virtual showroom to reflect our interior design capabilities. It is important that real estate agents and homeowners give credit where credit is due. Second, we emphasize that our goal is not to promote our services to prospective home buyers, but rather the real estate agents that accompany their clients. We don’t anticipate that a home buyer would become a seller and home staging candidate for quite some time. We want to spread the word among real estate agents, showing off our products and services, bringing awareness to our home staging brand. Third, we put some language in the home staging agreement requiring that the homeowner and real estate agent allow us to market (within reason) in the staged home. 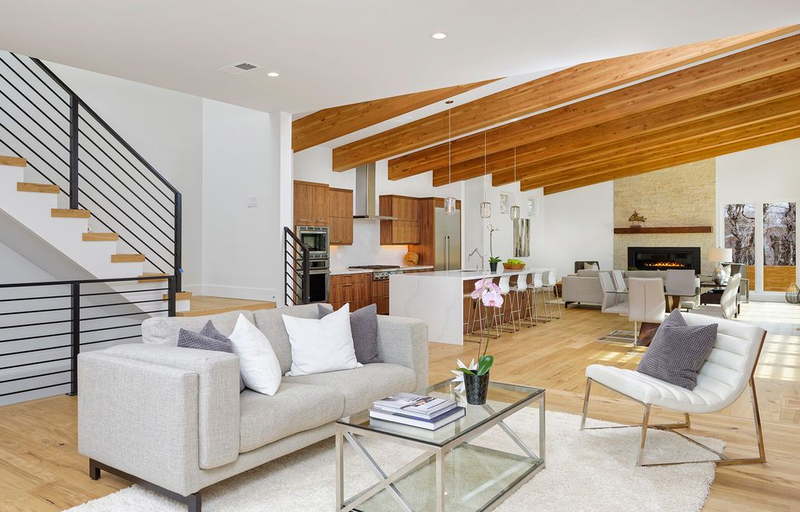 We talk about how our ability to use the home as a showroom and respectfully market our staging services leads to new projects and helps keep our costs down. In other words, we can charge the client less because of the marketing offset. But be careful! 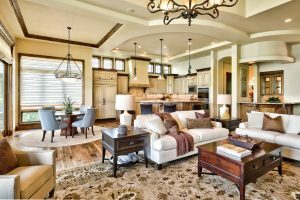 On the flip side of this discussion, we often have requests from real estate agents, home builders or homeowners to help them stage a model home for a special event or parade of homes tour. 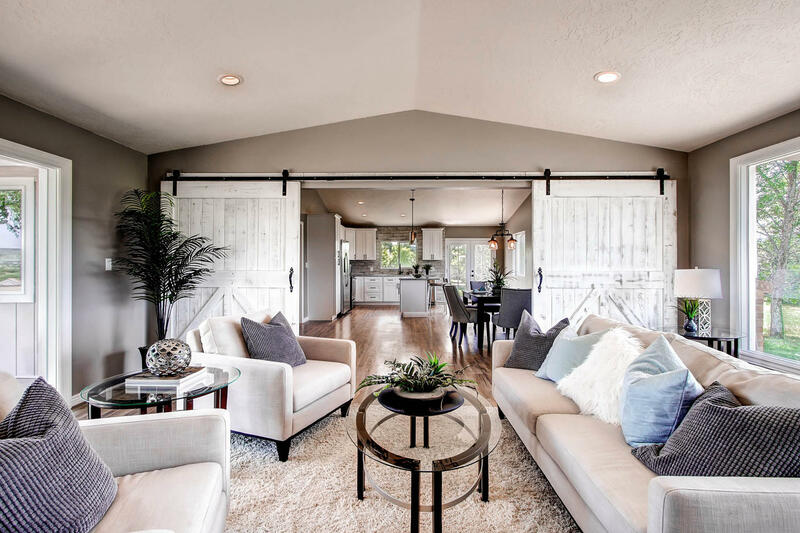 The conversation usually includes a request for discounted or even donated home staging services in exchange for the opportunity to market to all of the home’s visitors. This request presents a challenge because it over emphasizes the value of marketing in a client’s home. We definitely want to market our home staging services and there is clearly a value to marketing in a staged home, but advertising and the potential customers we gain does not offset the time, energy, professional experience and expense of properly staging a home for sale. Evaluate each opportunity and do your best to collaborate with real estate agents and homeowners to find a common ground to advertise in staged homes. 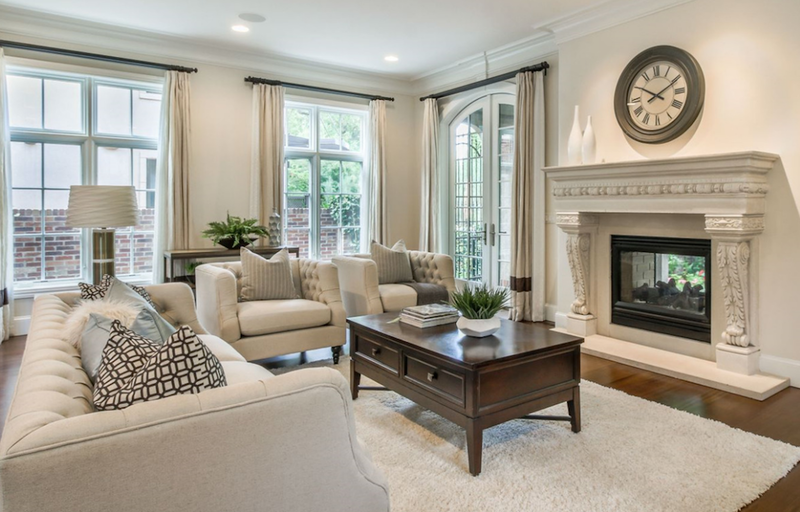 Checkout our home staging companies in Colorado and Southern California for more tips!